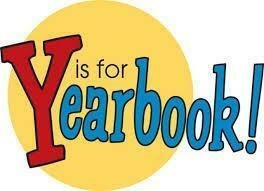 Yearbooks are a great way to remember your child's year at David Youree! Kids love looking up all of their friends and teachers in the yearbook. It is sure to be a treasured keepsake for years to come. Yearbooks are $30 and can be paid by cash or check made out to Tri-Star. Please complete the order envelope, enclose your payment, and return to your child's teacher by Friday, February 8. Yearbooks will be delivered in May.